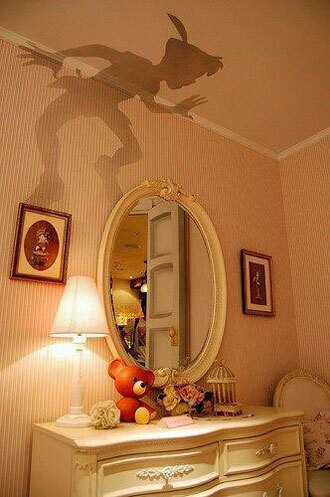 This is such a cool idea: a Peter Pan shadow on your wall. I came across it on Pinterest, but I can’t for the life of me figure out where it’s originally from (if anyone know who I can credit let me know). Can you buy this somewhere or did someone just make it for themselves?